The FiiO F9 Pro is an upgrade from the F9 model, and it’s totally worth the upgrade and the extra bucks. First, the F9 Pro doesn’t have the treble peak found with the F9 model. As such, if you use earphones for several hours daily you won’t experience fatigue or sibilance (the harsh “s” sound). Whether you are just a normal music listener or a novice audiophile, the FiiO F9 Pro might be all you have been looking for to enjoy music better, and they perform amazingly in any music genres. And, if you have tried the more expensive options, you will be surprised by how good this pair is for the price. From how they look to how they feel in your ears, these in-ear monitors are worth your money. This pair of headphones has a pretty neutral sound signature. They let you hear exactly what the artist intended. Again, with it, you will like how the mids and highs are not only smooth and clear, but also very well-detailed. Also, the lows are full and punchy, and they do not bleed into the mids. I noticed that the pair has foam ear tips and as such the produced bass has nice presence making it so nice to listen as it does not overpower or drown out some parts of the song. Again, I like that both the female and male vocals remain very clear throughout and I also find its instrument separation to be very satisfactory. If you are the kind that pays total attention to not only the song but also the instruments, you will be able to make out all the details from either the acoustic and electric guitar, piano, cello, violin, brass, or woodwinds. And, you will also notice that the cymbals come out with a clearly defined sound and not the usual mess with most IEMs. Again, thanks to the included foam ear tips, the pair has decent sound isolation. I find it especially great when listening on the go or at home and also in not so loud environments. However, if you will be using them in louder environments, I’d recommend you get different ear tips that are capable of blocking out the louder noise. I have used mine in various environments, and I can say for sure that the sound isolation is great. The key is to get ear tips with the right diameter. These headphones have a metal exterior thus giving them a solid build that’s reliable for all type of users. I am mostly used to plastic exteriors when it comes to earphones, so this was somehow new and exciting for me. One thing about plastic exteriors is that they are prone to cracking or disintegrating with the slightest drop on hard floors and once cracked there is no guarantee that they will perform as usual. So, the metal exterior is a huge plus for most people. These in-ears feel very snug and secure, and the ripple design plus a silver blue color looks awesome. Simply put, these earphones are far from what you have owned before or what you see everyone with. They stand out in a good way. The other thing that keeps frustrating me about earphones is the cables. They keep going bad especially if you are not careful with how you store them and once one goes bad, the whole thing becomes useless. Lucky for me though, the F9 pro features detachable cables so if they go bad you can simply get a replacement. Comfort is important especially for people who use their earphones for long. I find the F9s very comfortable even after using them for several hours continuously. However, remember that you should not use headphones/earphones for too long so always take breaks and do not fall asleep with them on. the other for 3.5mm connection. The price might seem like it is too high, but it’s worth it especially if you listen to music a lot. Anyone searching for in-ears to keep will find them very ideal rather than go for the disposable options that cost more, in the long run, not forgetting the numerous possible disappointments. Despite the major improvements from the F9 model to the F9 pro, there is still a room for improvement though not so much to be a deal breaker. One, I found he MMCX connection to be too tight such that putting the wires in becomes a hassle. However, I have found it helpful to have a strong cushion where I press against when putting them in. Again, just as expected, taking them out is another hassle. But, I find it easy just to use my fingernails, since mine are long and very strong, to run them around the connection point hence separating them. Alternatively, you can use a paper clip to do the same. Either way will be pretty easy and quick. Second, if you plan on using them with an iPhone it’s good you know that the volume buttons won’t work. However, FiiO has a lightning chord, but it’s too long to be compatible with the included MMCX chords. But, I came across the FiiO BTR1, and it’s really helping with the control issues. It is a Bluetooth adapter, and you can plug the headphones into then your phone will transmit to. One thing I love about the adapter is the built-in amplifier and the Mic that allows me to receive phone calls or make voice commands. 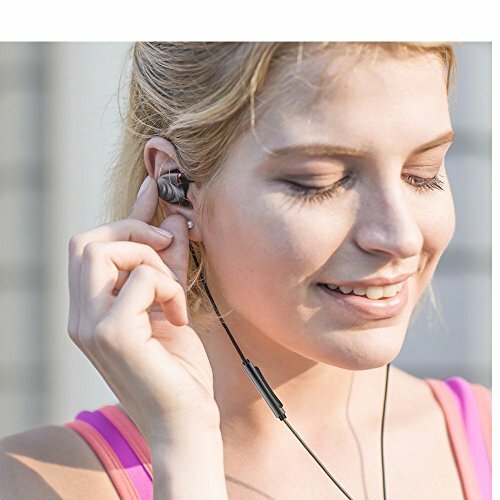 First off, because they feel so secure in your ears, you can use them for dancing, working out, running and sports or any other activities that would otherwise be impossible with not so secure in-ears. Also, apart from listening to music, you can use them for gaming or listening to podcasts, etc. I have used them with a MacBook Pro laptop, and an iPhone and both worked great. 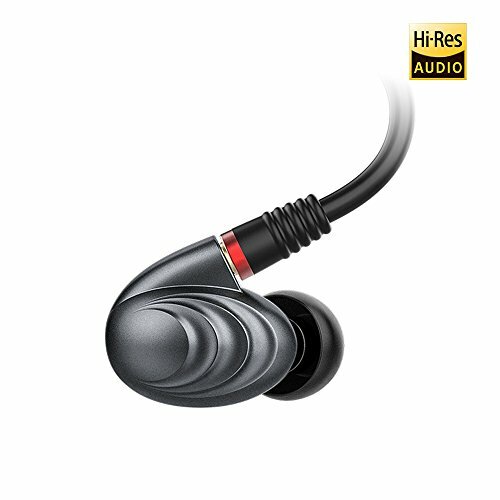 If you are interested in great sound quality from practical sources, you will definitely love the F9 Pros. What should you consider when buying in-ears? If you are looking for an everyday in-ears pair, it better be comfortable even after long hours of continuous listening, and it should also feel secure especially if you will be using it on the go or while dancing. There should be no compromise to sound quality. It should be truly audiophile quality. The F9 pros have been put to the test and they surely are truly audiophile quality. This is especially important if you plan on using your headphones on the go or in noisy environments. Ensure that the ear tips can do a great job with noise isolation. Also, pay attention to the ear tips’ diameter to ensure that you are doing the right pairing as this plays a huge role in sound isolation. We all have had those moments where our headphones broke and stopped working after just one drop on a hard surface. It can be so frustrating especially when you don’t have another pair. To avoid this, ensure that the overall build of your earphones is the best and that it can withstand a great level of abuse. However, always take care of your earphones and store them as recommended. Tip: Have you ever experienced extremely bright when on a middle-range or higher frequencies with poor lower frequencies especially when the volume is high? This might lead to an unbearable listening experience and even using any sound app might do little to help even if it has equalizer. To totally compensate extreme brightness, you need to look at your ear tip’s diameter as it plays a big role on equalization. Once you are sure about this diameter, go ahead and find the perfectly compatible ear tips as this will give you denser sound signature and less bright. This is a common issue that makes most people return their headphones but what you are supposed to know is that a smaller ear tip gap results to less mid & high frequencies and more lower frequencies. 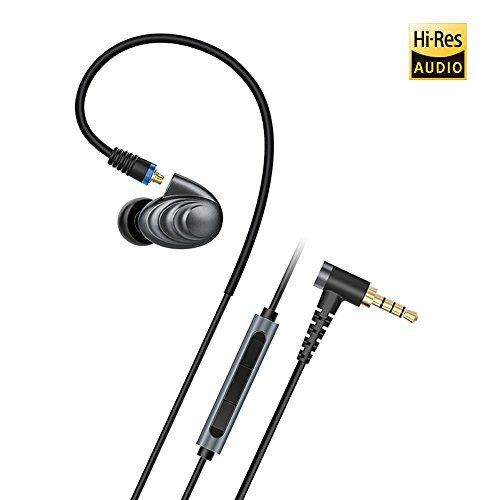 For the price range, these are the best sounding earbuds that you will probably come across. The overall quality is great, and there is no doubt about their durability. They come with various accessories to help you find the best match, and they also have a unique design. They are great if you need a pair to use while on the go, at home, when on vigorous activities like workout or dancing, etc. Highly recommended. 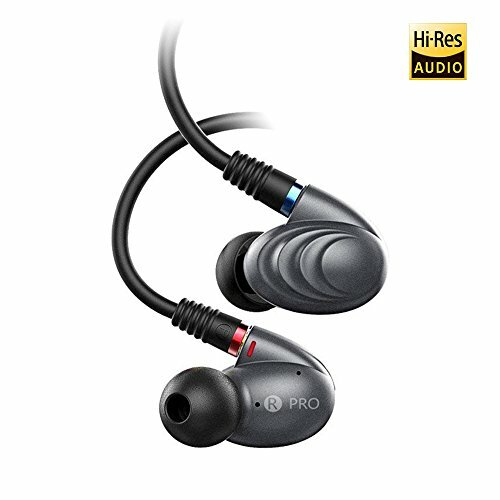 FiiO F9 Pro in-ear headphones caught our attention due to their uniqueness and praises over their performance. To say we were impressed is an understatement! The design gives them a snug and secure fit in your ears, and the detachable cables are a huge plus. The only recommendation is for you to ensure that you are using the right eartips in terms of diameter. Overall, the headphones are well worth your money.